New Orleans Tricentennial pays tribute to its dining destiny. New Orleans Louisiana is a place which overcomes adversity with grit and grueling fortitude; moving beyond the ravages of World Wars, devastating storms and even prohibition, the heart and soul of New Orleans surmount the insurmountable while maintaining cultural identity through tradition, customs and of course, the food. The 2018 Tricentennial celebration is the momentous reminder that this city has intestinal fortitude in advancing against formidable odds. 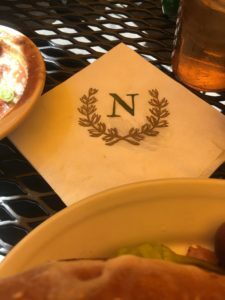 One area that reflects Nola’s Phoenix like ability is in providing sustenance to the hungry travelers and loquacious locals. 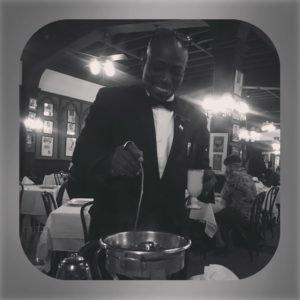 Interested imbibers and diners can learn more about Nola’s colorful gastronomic past through the Southern Food and Beverage museum or a fabulous historical drinking tour with the one of the museums curators and author of Drink Dat, Elizabeth Pearce. Building a background of culinary knowledge takes on many forms, but dining and drinking are by far the most pleasurable ways to experience Nola’s culinary nobility. Gumbos continue to fill the bowls of parched patrons, while local red fish and briny oysters are politely piled onto the plates of historical dining legends such as Antoine’s, Galatorie’s and Arnaud’s while new comers in the post Katrina wake have made the vow to carry on tradition while adding their own culinary magic for a new generation of diners in newcomers such as La Petite Grocery, and Restaurant R’evolution. The quintessential dining venues are the bastions, up-holding dining standards, beckoning delighted diners again and again into the crowded dining halls through the timeless turns of history. 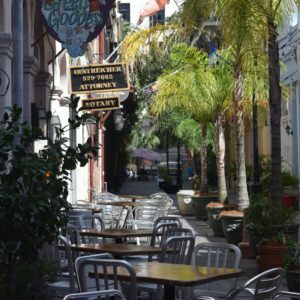 “In a city where food is not just a passion but an obsession, where it is more than sustenance, where it is spiritual inspiration, where there are two times of day-mealtime and in between-restaurants are sacred institutions,” observed award winning New Orleans food author Kerri McCaffety. Perhaps it is this generational almost religious devotion to epicurean excellence that defies the demons of dining decrepitude and consistently raises the mark in the hospitality industry through the eons of time. 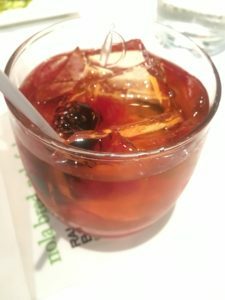 Taking a look back at some of the dishes and drinks that remain timeless is appropriate for this Tricentennial retrospective. 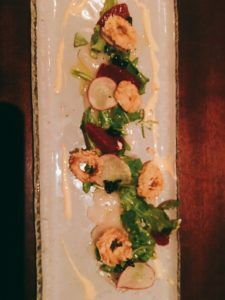 Although this list is just a glimpse of countless venues and their signature dishes, the spirit of New Orleans’s gastronomic creativity and traditional Creole and Cajun alchemy along with the melting pot of cultural influences shine through in the tried, true and the new of New Orleans cuisine. 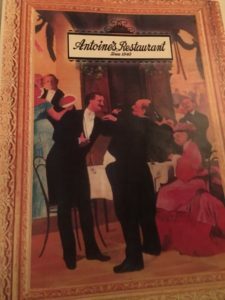 One cannot get closer to historical dining experience than a visit to Antoine’s, the United States oldest family run restaurant. Celebrating 175 years is something unfathomable to many in the restaurant industry where most establishments crash and burn within the first year. “The duty of a good Cuisiner is to transmit to the next generation everything he has learned and experience”, said Fernard Point in 1941 and famous Antoine’s has been doing this since the 1800’s. Antoine Alciatoire established the 700 rue de St. Louis restaurant in 1868; his enduring quality of hospitality, service and superior food has transcended the tumult of history and continues on into the present day. 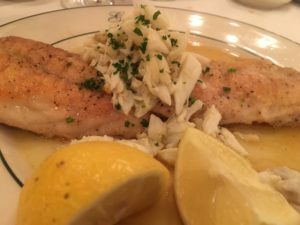 There are certain dishes that should be experienced in this Tricentennial year, and Antoine’s is home to many of them. Let’s begin with a solution to a French snail shortage in the 1800’s when Antoine’s son Jules faced a quandary over reinventing his father’s specialty dish of Snail Bourguignon. 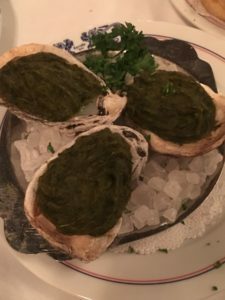 The solution came as a new dish conceived by sourcing local oysters, giving rise to the celebrated dish, Oyster Rockefeller. The recipe is still a secret today”, said Lisa Blount Co- proprietor. “There is absolutely no spinach in the recipe but what greens are used in this highly sought after dish continue to be closely guarded to this day, although many have tried to figure it out over the decades”, she added. While this homely dish may not be instagram worthy with its crusty green vegetable topping atop of a well seasoned baked oyster in the half shell, it is deeply flavorful and a true iconic New Orleans dish. Another celebratory experience worth having begins by asking for Paul, a veteran server of 20 plus years. He will conjure up another Jules original, the Café Brule Diabolique: a hot brandy concoction seasoned with a combination of citrus and cloves. Paul waxes eloquently as he gracefully ladles the flaming liquid into an elegant demitasse cup. 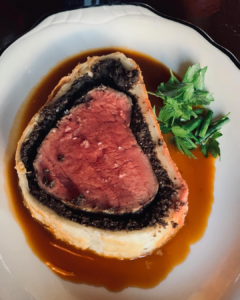 Other dishes noted for their time tested originality are the Crayfish Etouffee, Shrimp Remoulade, Shrimp Meuniere, Oysters Bienville, Chicken Creole, Pompano en Papillote and the Chateaubriand Colbert. 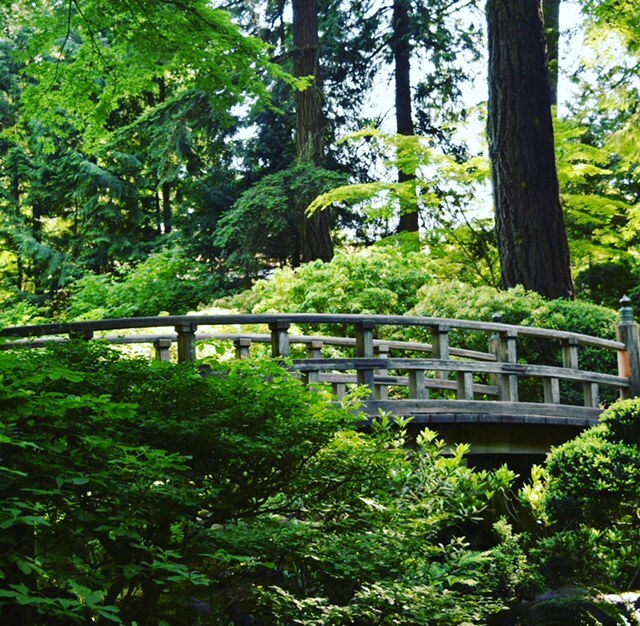 For those with a penchant for history, a glimpse into the nearly two-hundred year family history is available upon request. Take a tour of the many rooms that have hosted socialites, celebrities, Krewes, Kings and dazzling Mardi Gras Queens. 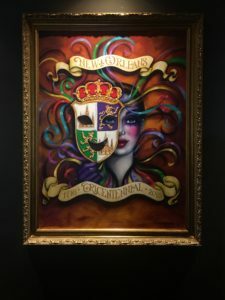 The paintings, Memorabilia and photos along with many storied stately dining rooms have been restored to their glory days pre-Katrina. 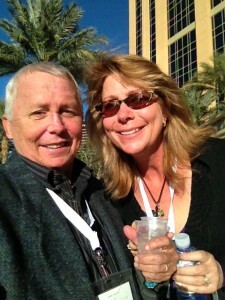 “It was a big deal for us to get this right after Katrina”, reflected Lisa Blount. 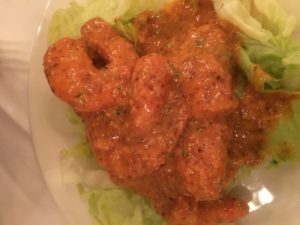 By all accounts Antoine’s has done just that with elegance and care for all the future generations of Nola diners. “Eating should be a pleasure, not a task to get over with in a hurry. A dinner chosen according to one’s needs, tastes and moods, well prepared and well served is a joy to all senses and an impelling incentive to sound sleep, good health, and long life”, ruminated Count Arnaud as he contemplated the hurried lifestyle of modern living in the early 20th century. 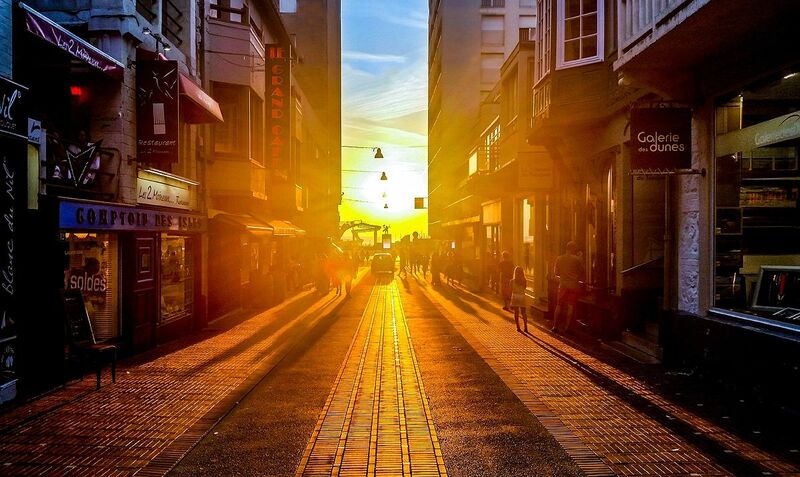 Presently celebrating 100 years, Arnuad’s is a place that covers an entire city block. Lines of eager diners perpetually spill out into Bourbon Street waiting for a table within this two story French bistro style restaurant. 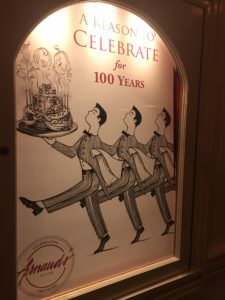 Sip on a French 75 while grazing on soufflé potatoes with béarnaise sauce while selecting your menu items Table d’Hote menu honoring the first 30 years within their 100th year anniversary. 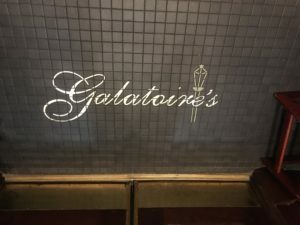 Jean Galatoire established this location n 1905 and generations of family members have carried on the legacy of superb dining. Galatoire’s stands as a stalwart dining institution replete with gold fleur de Lis patterned wall paper (hand painted after the original), and quaint Parisian café tables, covered in starched white table sporting gleaming glass ware and white bone china that speak of yesteryear. 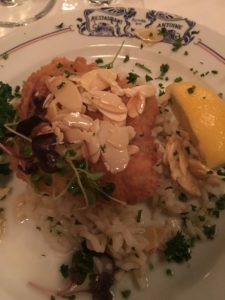 Well groomed jacketed cloaked waiters hover like bees within the continuous hive of dining activity while diners dish on menu staples such as the Shrimp Remoulade and the Redfish Meuniere Amandine. This place is not to be missed on any visit to the Big Easy, especially in the Tricentennial year. 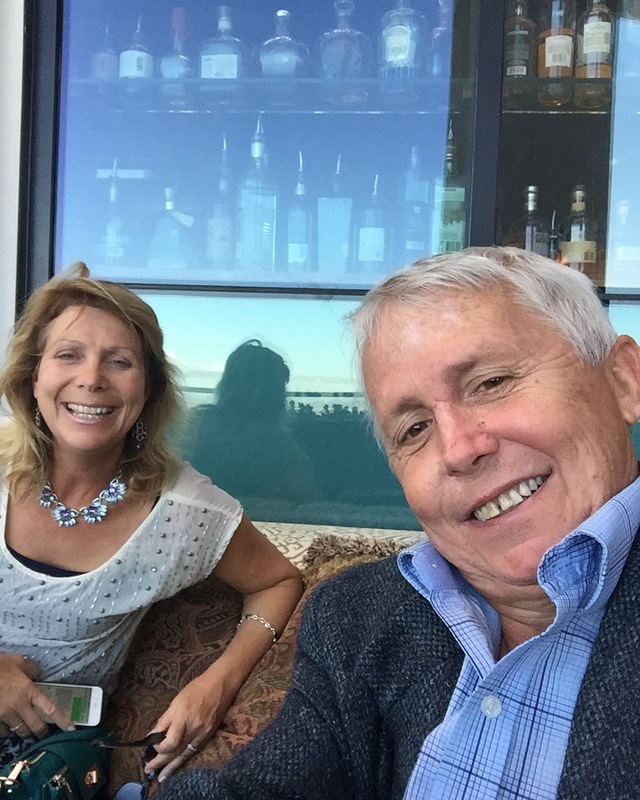 As we move forward into the 20 century, the Irish Brennan family cornered the Nola dining world and has propelled itself into the 21st century a leader in the hospitality industry with numerous James Beard awards and other distinguished accolades. 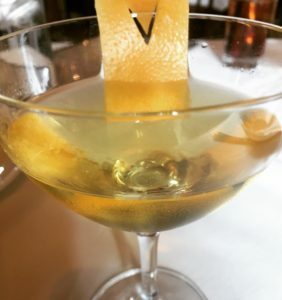 Count Arnaud goaded that an Irishman could not work in the restaurant business but Owen Brennan proved otherwise opening Owen Brennan’s Vieux Carre which became a success much to Arnauds chagrin. 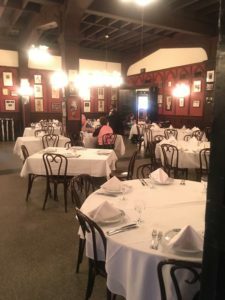 After a move to the present Royal Street location, Brennan’s became the dining darling of the 20th century under the steady direction of dining Grand Dame, Ella Brennan. 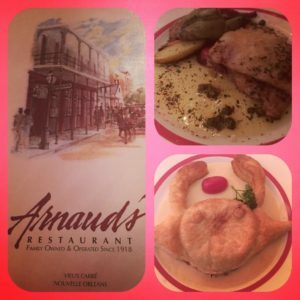 Dinner at Antoine’s was eclipsed by the newcomer on the block. Breakfast at Brennan’s remains the best in what New Orleans culinary has to offer and recently was name restaurant of the year by New Orleans Magazine. This is the place where Bananas Foster’s was birthed and bathed in flaming rum sauce becoming the most copied dessert of all time. 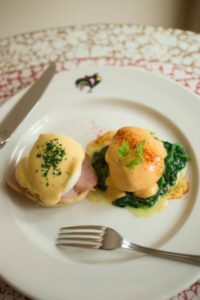 Egg dishes were invented and celebrated as creative takes on classics, such as Eggs Sardou and Eggs Hussarde. 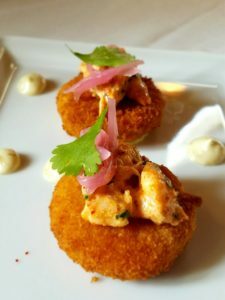 Chef Slade Rushing carries the Creole torch of taste and perfection with his balanced vibrant cuisine that has garnered him yet another James Beard nomination. Over In the Garden District ubiquitous Commander’s palace continues to command attention to the mystique of southern hospitality. Family members Ti Adelaide Martin and Lally Brennan propitiate the family legacy of excellent Haute Creole Cuisine as 2018 inductees into the James Beard Foundation Who’s Who of Food & Beverage. 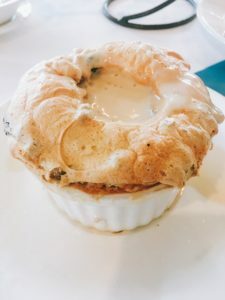 Paul Prudhomme, Emeril Lagasse, the late Jamie Shannon and presently Executive Chef, Tory McPhail all have thrived and arrived into their own culinary genius through the watchful eye of Ella Brennan. Brunching in one of the many splendid dining rooms that have hosted the best and brightest of celebrity, society and notoriety is a must dining mandate. Here the favorites of Pecan Crusted Gulf Fish, Sugarcane Lacquered South Texas Quail and turtle soup are served with precision in service and in taste. Ella’s system of exquisite simultaneous service; dishes placed onto the table with multiple servers in perfect dining orchestration is a sight to behold. Join in the fun, grab an umbrella and twirl a napkin in the customary dining dance as the jazz trio drives the beat in celebrating decades of dining greatness. You will be glad you did! The history and consistency is reflected in and through generations of Brennan’s branching out and carrying on Owen and Ella’s entrepreneurial spirit through their many dining venues. 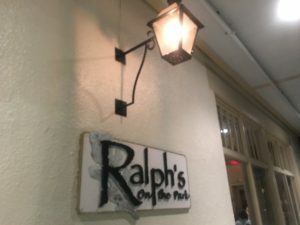 Family is involved at every restaurant, and over at Ralph’s On the Green, Kathyrn Brennan is circling the dining room with her gracious hospitality and watchful wisdom. Who would have imagined that a building with Storyville’s shady and lurid past would now house an elegant and upscale dining venue? 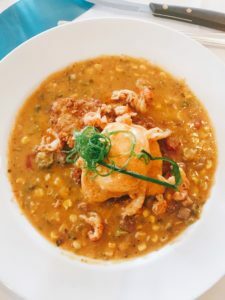 Present day offers a dining spectacle as Chef Chip Flanagan offers up his alchemic blend of deeply flavored menu items that are inspired by his New Orleans roots. Indulge in the house-made Black Pepper Pappardale with seasonal King Trumpet mushrooms or the roasted whole fish with fresh herbs and brown butter emulsion. Marry these dishes with a boozy old fashioned or a great glass of Cabernet while overlooking the central park with the moss covered trees and the sprawling green lawns. 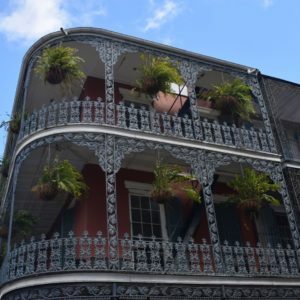 Back on the corner of St. Louis St.and Chartes is yet another historic house of hospitality that has became famous for what was to be a refuge for the infamous, the Napoleon house. 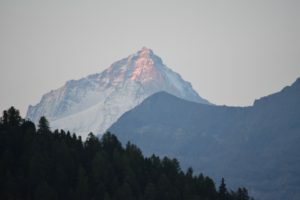 Although Napoleon never did reside at this proposed site of exile, his legacy continues to this day drawing history buffs, movie scouts, and hungry diners. Keeping true to tradition Executive Chef and General Manager, Chris Montero observes this heritage with his locally crafted menu. 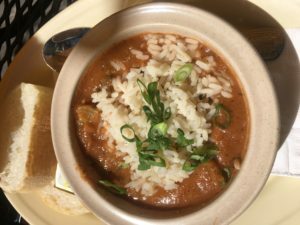 Pimm’s cups flow steadily from the celebrated small bar while meaty Muffalettas are served alongside a bowl of seafood gumbo or red beans and rice. In 2015 Ralph Brennan took over the century long ownership of Italian grocer Joseph Impastato’s lineage. Keeping with Napoleon’s rich lore and legend, it does seem appropriate that another dining dynasty family has now taken the reigns going forward into the next centennial. 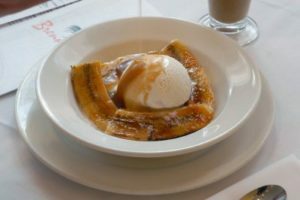 Housed in the refurbished historic building that John Willig and Frank Frank Mackie built almost 100 years ago as a neighborhood sundries store, La Petite is a dining haute spot that is now drawing auspicious diners daily into its legendary dining digs. 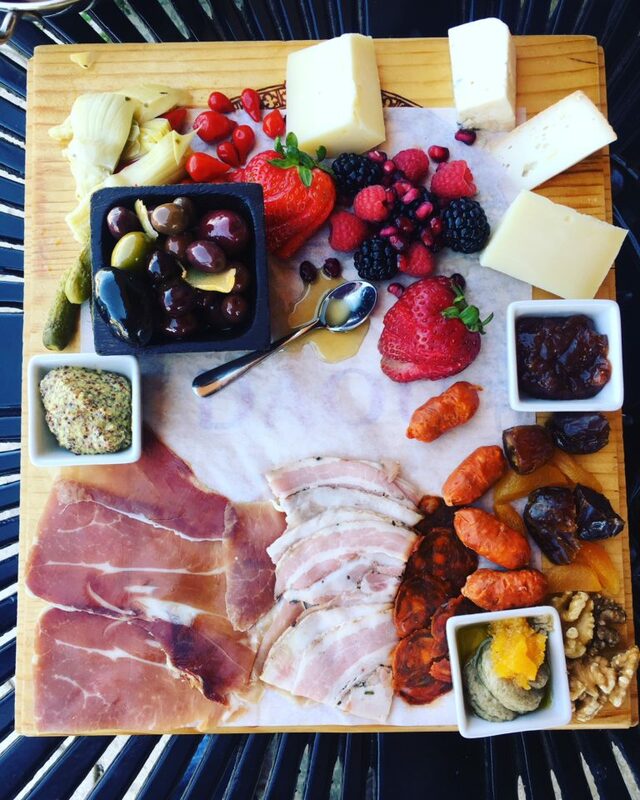 La Petite Grocery is under the direction of 2016 James Beard South winner, Justin Devillier, Chef Proprietor along with wife Mia Freiberger-Devillier. Devillier’s culinary sensibility, youthful exuberance and expertise shine brightly even in the shadows of Nola’s dining dignitaries. Opening in 2004 and then re-opening again post Katrina, this neighborhood restaurant is worth the visit away from Bourbon Street. 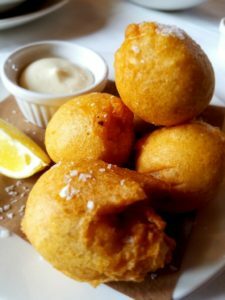 The delectably innovative blue crab beignets with malt vinegar aioli and the house made butternut squash & Comte ravioli are just several superb dishes that showcase Chef’s ability to fuse classic culinary nuances with modern sophistication rendering supreme taste, texture and presentation. 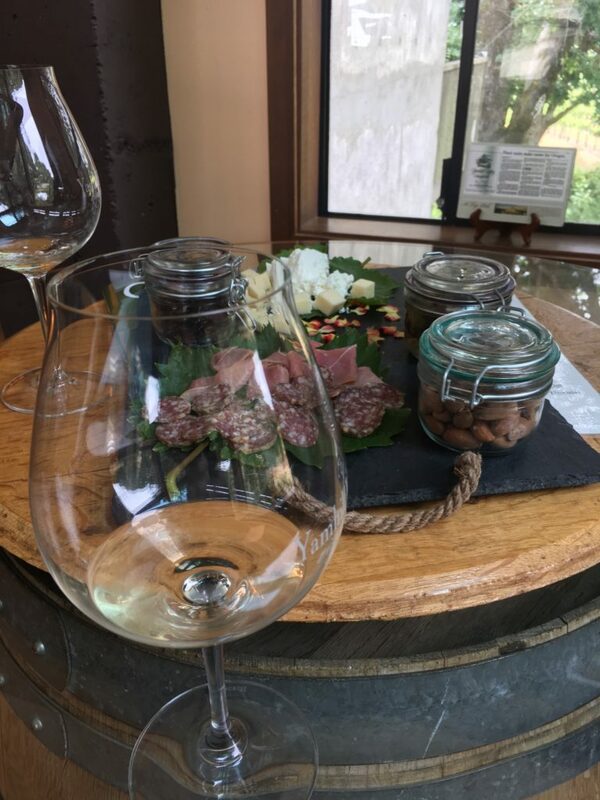 Carefully crafted cocktails, extensive wine list, and fresh exquisite desserts are also served up with convivial southern charm. Executive New Orleans Chef John Folse partnered with James Beard award winning Chef Rick Tramonto post Katrina to form the Folse Tramonto Restaurant Development that became the catalyst for their premier joint venture, Restaurant R’evolution. Folse is an authority on Cajun-Creole cooking, having authored nine books on Louisiana’s immutable cuisine. With that depth of knowledge, Folse and Tramonto go to great lengths to showcase the gastronomic traditions of the seven primary nations that influenced the dining history and traditions of New Orleans. 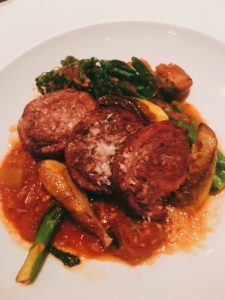 In honoring the Tricentennial festivities, the Chefs have put together special Tricentennial tasting menus that should not be missed. 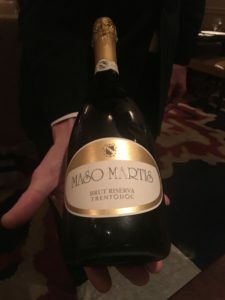 Italy being one of the seven nations highlighted in this specialty menu showcases an antipasto of Scallop crudo, Calamari Frito, Sea Urchin accented with blood oranges accompanied by a the Maso Martis Trento Spumante. 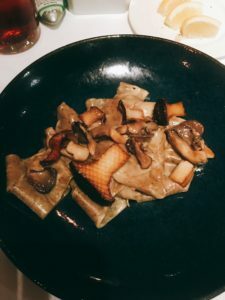 The Raviolini con Burrata and the Beef Tenderloin with Venison Sausage are other dishes that pay homage to Italian heritage influences upon the New Orleans culinary make-up. Folse and Tramanto are masters at implementing and preparing a tribute to all that have gone before through their evocative and meaningful dishes. But don’t go home without trying their riff on gumbo aptly named Death by Gumbo (a good last meal choice). A golden quail delightfully endowed with savory bits of andouille, oysters, and file rice gently rests in an exquisite rich roux. The decadent depth of flavor and texture spills from each spoonful into mouthfuls of ecstatic lusciousness. Now you can go satiated with dishes that will be in your memory forever.